No. 33, Jalan Industri USJ 1/13, Taman Perindustrian USJ 1, 47600 Subang Jaya, Selangor, Malaysia. 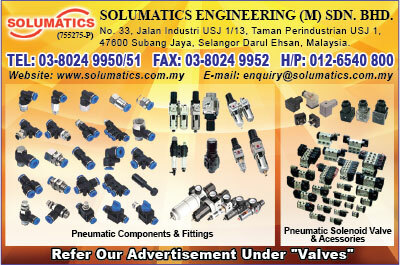 Solumatics Engineering (M) Sdn Bhd is one of the leading stockist and wholesaler for various kinds of valves. 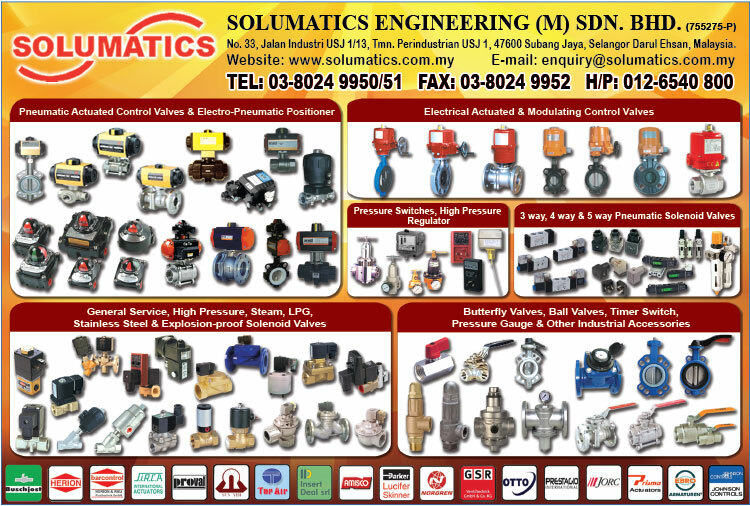 We supply and distribute various types of valves & controls products to Malaysia industry as well as to general hardware stores throughout Peninsular Malaysia and East Malaysia . We also supply materials to mechanical and electrical works. 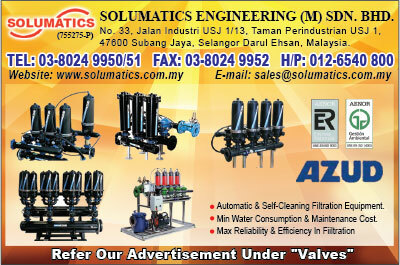 Solumatics Engineering (M) Sdn Bhd is specialized in all sorts of industrial supply such as pneumatic components and process solenoid valves, water valve products such as butterfly valve, check valve, Y-strainer, globe valve, gate valve, ball valve, brass & bronze valve, pressure gauge, auto-drain timer valve, pneumatic and electrical actuator valve, pressure switch, high pressure regulator, pressure filter and etc. We are supplying various brand of control valve in Malaysia like Herion, Buschjost, Sirca International, Parker, GSR, Top Air, Insert Deal, Amisco, Arita, Proval, Sun Yeh and etc. 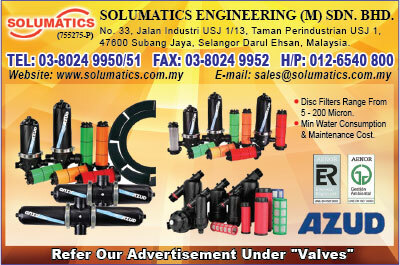 Our primary business activity is sales and marketing of various local and imported valves & controls products. We are representative and major importer of pneumatic, process and related products from Europe, America, Italy, Turkey, Korea, and Taiwan. We provide all pneumatic solution and process control under one roof with superior quality services and greatest reliability. Solumatics Engineering & Trading is fully committed in providing prompt and flexible services cater to your business needs. Our aim is to form close partnership with our customer, working with them at all levels, from early feasibility studies through to delivering production facilities. Solumatics Engineering & Trading is always ready to provide our best products and services as your business needs.